John Wallick Jewelers: White Gold Diamond Pendant Necklace. Lady's 14kt white gold diamond pendant. Pendant has a 0.36 carat center and 0.12 carats of accent diamonds. Diamonds are H color and SI-1 clarity. Priced at $2,285.00. Lady’s 14kt white gold diamond pendant. Pendant has a 0.36 carat center and 0.12 carats of accent diamonds. Diamonds are H color and SI-1 clarity. Priced at $2,285.00. 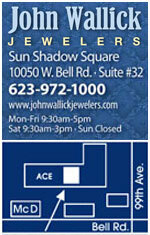 John Wallick Jewelers: Ruby Pendant. 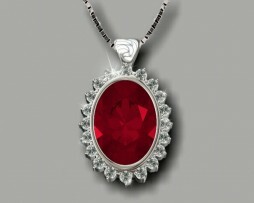 Lady's oval cut ruby and diamond pendant in white gold. 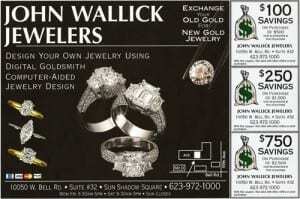 John Wallick Jewelers: Yellow Gold Three Diamond Pendant Necklace. 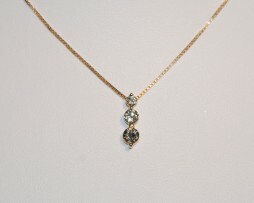 Lady’s 14kt yellow gold three diamond pendant. Diamonds are H color and SI clarity. Pendant weighs 3.1 grams and price is $795.00. 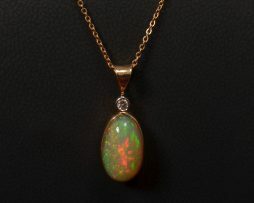 John Wallick Jewelers: 14K yellow gold opal and diamond pendant necklace. 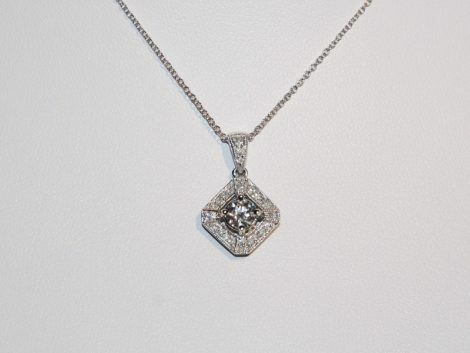 John Wallick Jewelers: White Gold Three Diamond Pendant Necklace. 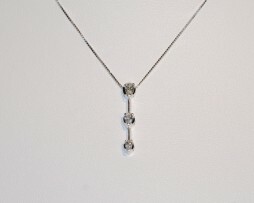 Lady's 14kt white gold three diamond pendant. Diamonds total 0.37 carats, H-I color and SI clarity. Pendant weighs 1.5 grams and is priced at $495.00.